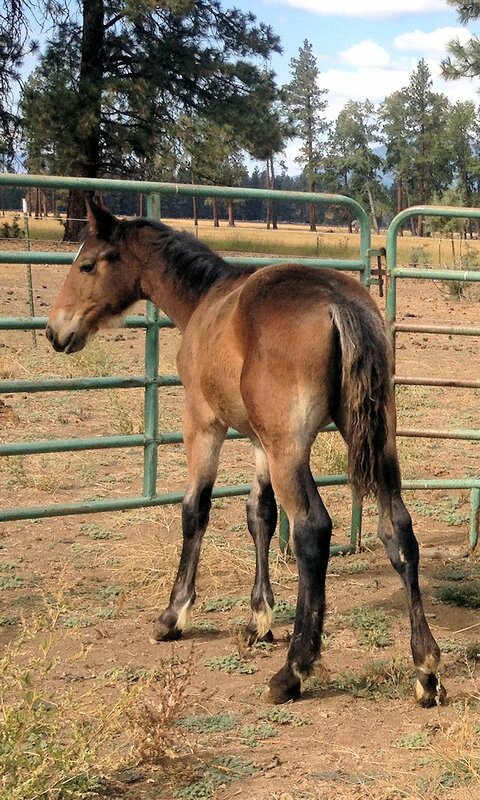 Filly Brown Quarter/ Spotted Draft Cross. 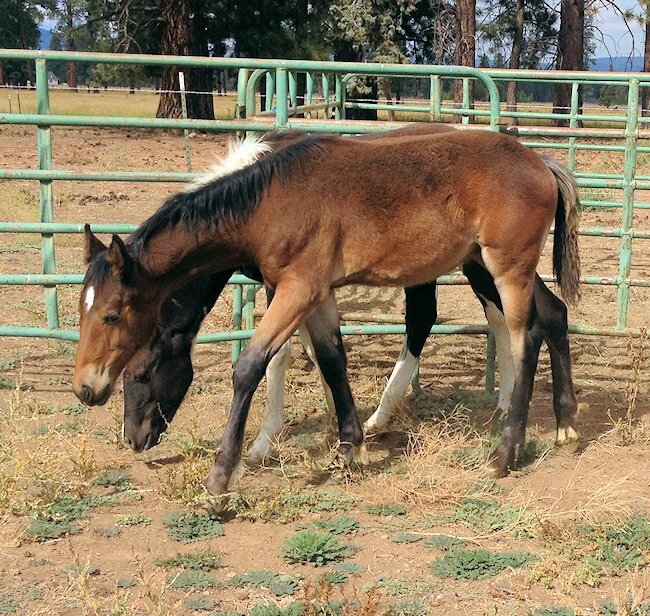 This super fancy filly could make a great Eventer prospect or all day Ranch horse. She is going to be tall with great bone. 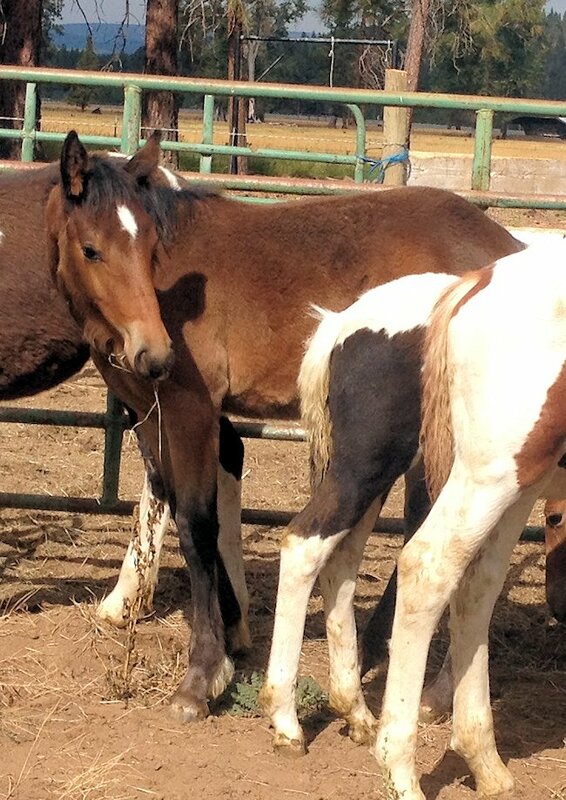 Her Dam is a buckskin Quarter horse, (That's how she got her coloring) and her Sire is a Black and White Spotted Draft. 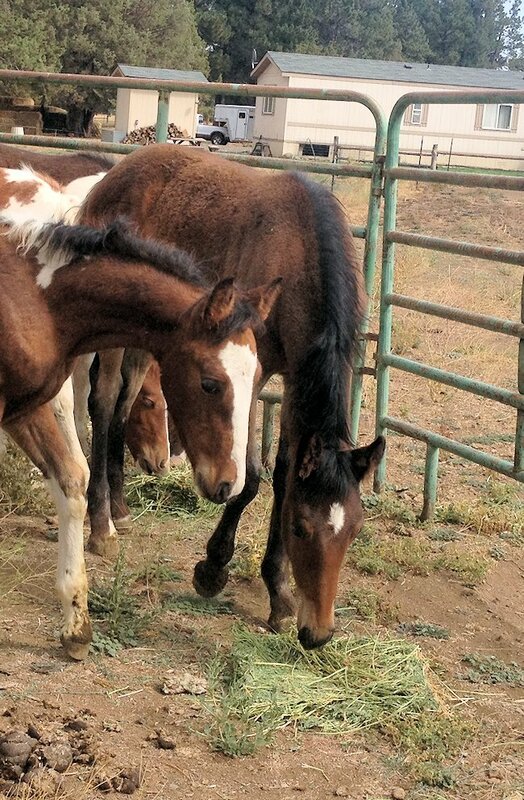 She has several relatives competing in the Eventing world. She should mature to 16.1 or maybe a taller.